Houghton Mifflin Harcourt, 9781328787354, 896pp. 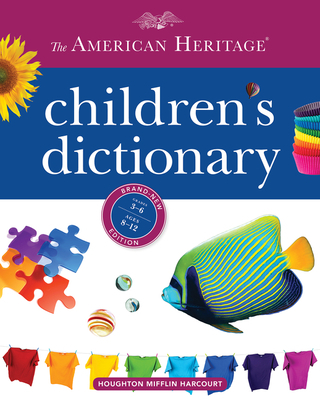 The American Heritage® Children's Dictionary has been completely revised, updated, and redesigned for a brand-new edition, ensuring that this title remains fresh and current while providing the visual appeal needed to captivate young readers. For this brand-new edition, every definition has been reviewed, and hundreds of new senses and new words and definitions—ranging from android to vegan—have been added. This edition includes a brand-new feature, Writers Choose Their Words. Nearly 100 new note boxes throughout the A-Z text highlight quotations selected from popular and classic young adult and children’s literature and show key vocabulary words in context. With entries written in easy-to-understand language, an abundance of example sentences that provide greater context, and stunning full-color illustrations, this engaging reference brings words to life and enhances the child's learning experience.